Dentin hypersensitivity is a common condition reported in patients of all ages and both genders. Though there is wide variation in assessments, some studies show its prevalence in up to 57% of the population. [1 Addy M, Smith SR. Dentin hypersensitivity: an overview on which to base tubule occlusion as a management concept J Clin Dent 2010; 21(Spec Iss ): 25-30., 2 Orchardson R, Gillam DG. Managing dentin hypersensitivity J Am Dent Assoc 2006; 137: 990-8.] A survey of dentists in the United Kingdom reported that approximately 25% of their patients manifest hypersensitivity, with severe hypersensitivity affecting about 10% [3 Gillam DG, Bulman JS, Eijkman MAJ, Newman HN. Dentists' perceptions of dentine hypersensitivity and knowledge of its treatment J Oral Rehabil 2002; 29: 219-5.]. Common approaches in addressing dentin hypersensitivity include the use of topical preparations containing desensitizing agents, agents that promote depositions on the dentin, or barrier-like materials that physically laminate the affected tooth [1 Addy M, Smith SR. Dentin hypersensitivity: an overview on which to base tubule occlusion as a management concept J Clin Dent 2010; 21(Spec Iss ): 25-30.-3 Gillam DG, Bulman JS, Eijkman MAJ, Newman HN. Dentists' perceptions of dentine hypersensitivity and knowledge of its treatment J Oral Rehabil 2002; 29: 219-5.]. In the present study, we focus our attention on the use of a fluoride varnish. The United States Food and Drug Administration formally recognizes cavity varnishes indicated for the treatment of sensitive teeth and especially for use on exposed dentin and root; additionally, varnishes are approved for the application to a cavity prior to insertion of restorative materials in order to prevent penetration into the dentin tissue [4FDA. Dental devices; prosthetic devices Fed Regist 1996; 8: 302-11.]. Originally, fluoride varnishes were developed for use in Europe, Scandinavia and Canada in the 1960s with the purpose of extending the contact time of fluoride with the dentition, and their use has since continued to expand throughout the world [5 Marinho VCC, Higgins JPT, Logan S, Sheiham A. Fluoride varnishes for preventing dental caries in children and adolescents Cochrane Database Syst Rev 2002; (3): CD002279.]. Though not cleared for use as an anti-caries agent in the United States, fluoride varnishes are recognized as an effective therapeutic for not only hypersensitivity but also against the caries experience [6CDC. Recommendations for using fluoride to prevent and control dental caries in the United States MMWR 2001; 50(RR14 )]. In vitro evaluation methods have been used to explore the potential of various agents and preparations in the occlusion of patent tubules [7 Burwell A, Jennings D, Muscle D, Greenspan DC. NovaMin® and dentin hypersensitivity: In vitro evidence of efficacy J Clin Dent 2010; 21(Spec Iss ): 66-71.-11 White DJ, Lawless MA, Fatade A, et al. Stannous fluoride/sodium hexametaphosphate dentifrice increases dentin resistance to tubule exposure in vitro J Clin Dent 2007; 8: 55-9.]. The use of such models provides insight into modes of action, and in turn, this ultimately helps shape clinical expectations. The modes of action typically involve the ability to protect or form a smear layer, or occlude dentin tubules through the formation of insoluble or acid-resistant mineral. The present pilot study explores the mineralization of sound and demineralized dentin treated with either a control group (i.e. distilled water) or a 5% NaF varnish containing a calcium phosphate material (Vanish® Varnish with TCP, 3M ESPE, St. Paul, MN, USA). But instead of applying the varnish directly to the surfaces of the dentin (i.e. direct contact), which may produce physical barriers due to the varnish matrix (e.g. rosins), in the present study we utilized a non-contact design to encourage depositions from only water-soluble agents, such as fluoride, calcium and phosphate. This design involves applying varnish to specimen-free acrylic rods and then positioning these rods near separate rods containing dentin specimens during immersion in simulated saliva. Instead of physical barriers produced from the varnish rosins, the proposed design probes depositions and/or occlusions arising from mineral elution. Although other studies evaluating the direct application of varnishes on tooth specimens have been performed [12 Flanigan P-J, Vang F, Pfarrer AM. Lesion remineralization and acid resistance using four varnishes in vitro J Dent Res 2011; 90(Spec Iss A ) Abstract 2139-14 Attin T, Grieme R, Paque F, Hannig C, Buchalla W, Attin R. Enamel fluoride uptake of a novel water-based fluoride varnish Arch Oral Biol 2005; 50: 317-22. ], to the best of our knowledge, a study of this kind has not been explored previously. Potential depositions and/or occlusions arising from mineral elution in this in vitro study might have clinical implications particularly within regions of the oral cavity that have been inadvertently missed or not retained during varnish application. Currently there are many 5% NaF systems commercially available, with many now supplemented with additional mineralizing agents such as calcium and phosphate. For this study we selected the Vanish® varnish system for three reasons: 1) its flow and materials properties have been designed to provide sustained release of ions not only to the contacted tooth but also within the oral cavity, 2) it is supplemented with an innovative form of tricalcium phosphate [15 Karlinsey RL, Mackey AC, Walker ER, Frederick KE. 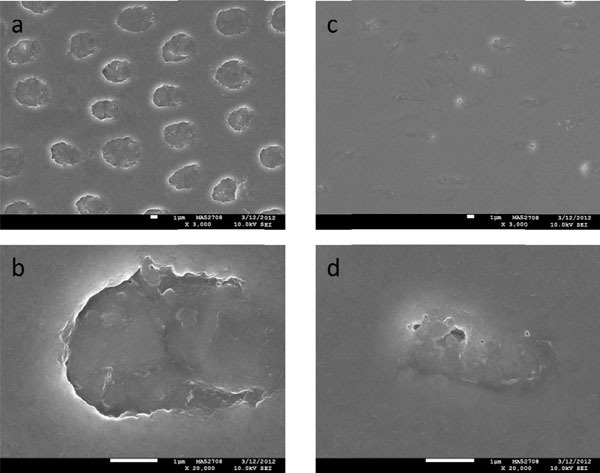 Preparation, characterization and in vitro efficacy of an acid-modified β-TCP material for dental hard-tissue remineralization Acta Biomater 2010; 6: 969-78. ], and 3) it is one of the most widely used and/or recognized varnishes by dental practitioners. The aim of this exploratory study was to determine whether this 5% NaF varnish could mineralize dentin substrates through non-contact means better than a fluoride-free control. This observational study includes treatments, acid challenges and remineralization events and included both sound and demineralized dentin. Morphology and chemical composition of the sound and demineralized dentin cycled in the model and treated with either the control group or the fluoride varnish groups were subsequently investigated using field emission scanning electron microscopy (FESEM) and energy-dispersive X-ray spectroscopy (EDS). Tooth cores 3 mm in diameter were drilled using a hollow-core diamond drill bit (Diamond Drill Bit & Tool, Omaha, NE, USA) by cutting perpendicularly into the labial surfaces of bovine molars and incisors. The cores were mounted into the ends of hollowed out acrylic rods (McMaster-Carr, Chicago, IL, USA) using DuraLay mounting resin (Reliance Dental Mfg. Co., Worth, IL, USA). Each specimen was ground by hand with 600 grit SiC sandpaper (LECO Corporation, St. Joseph, MI, USA) under water cooling using a Spectrum System 1000 Grinder/Polisher (LECO Corporation) set to 300 rpm. The specimens were ground down extensively so as to remove all the enamel and expose the underlying dentin. Then, each specimen was polished by hand for 1 minute using 3 μm diamond compound in conjunction with microid extender solution (LECO Corporation). The presence of dentin was confirmed by optical microscopy using a LM247AT microhardness tester (LECO Corporation). For initial demineralization in order to expose dentin tubules, specimens were immersed in 10 mL of unstirred 50% citric acid (pH = 1.2) (Fisher Scientific, Pittsburgh, PA, USA) for 2 minutes and then rinsed with distilled (DI) water to remove any residual smear layer. For those specimens that were demineralized, the presence of exposed tubules post-acid etch was confirmed by optical microscopy. The artificial saliva (AS) was prepared as follows with all chemicals obtained from Fisher Scientific. In 2 liters of DI water, 0.7084 g calcium nitrate was added. After complete dissolution, 0.2450 g potassium phosphate monobasic was added. After complete dissolution, 19.383 g potassium chloride was added. After complete dissolution, 8.56 g cacodylic acid was slowly added and allowed to mix for at least 15 minutes. Slow addition of concentrated HCl was added to adjust the pH to 7.0. The resulting solution then contained 1.25 mM Ca2+, 5.4 mM PO43-, 20.4 mM K+, 24.5 mM Cl- and 6.5 mM Na+. Solution used for the acid challenge was prepared by adding 0.3% citric acid to distilled water, followed by pH adjustment to 3.8 using concentrated NaOH(aq). Sound and demineralized specimens were prepared for the pH cycling study. Table 1 summarizes the six study groups for the present study. Samples A and B refer to baseline sound and demineralized dentin and did not undergo pH cycling. Samples C and D refer to initially sound dentin and Samples E and F refer to initially demineralized dentin. These four groups were then evaluated in the pH cycling model discussed below. Initially sound and initially demineralized dentin were then treated with one of two possible treatments (Table 1, samples C through F): a distilled water control treatment and a non-contact varnish treatment comprising 5% NaF and functionalized tricalcium phosphate (3M ESPE Vanish® Varnish with TCP) [12 Flanigan P-J, Vang F, Pfarrer AM. Lesion remineralization and acid resistance using four varnishes in vitro J Dent Res 2011; 90(Spec Iss A ) Abstract 2139, 15 Karlinsey RL, Mackey AC, Walker ER, Frederick KE. Preparation, characterization and in vitro efficacy of an acid-modified β-TCP material for dental hard-tissue remineralization Acta Biomater 2010; 6: 969-78.]. Each treatment (N=6) was divided into two subsets of three dentin specimens. For the non-contact varnish treatment, one 0.50 ml unit-dose was applied to acrylic rods and positioned in the same stopper as three dentin specimens as shown in Fig. (1a ). In this study, varnish was not applied to the dentin specimens. 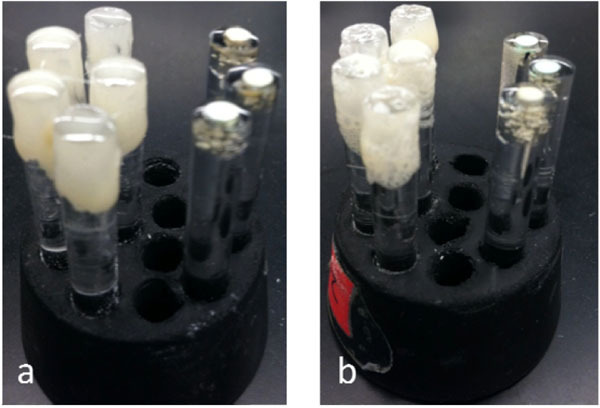 Photographs of non-contact varnish specimens contained in stoppers with varnish applied to acrylic rods before (a) and after (b) each of the three daily inverted immersions in distilled water. In each photograph, the acrylic rods are on the left-hand side, while the dentin specimens are embedded in separate acrylic rods on the right-hand side. The varnished acrylic rods are removed from the stopper during acid challenges and overnight immersions in the artificial saliva mineral mix. The daily cycling regimen used on samples C, D, E and F is summarized in Table 2 and consisted of three rounds of one-hour treatments with each round followed by immersion in a three-minute static acid challenge (0.3% citric acid, pH = 3.8). For each one-hour treatment immersion the test groups were immersed in distilled water, with the ensuing appearance of the varnished acrylic rods shown in Fig. (1b ). The specimens were thoroughly rinsed with DI water after each treatment and after each acid challenge. After the last challenge, specimens were rinsed with distilled water and immersed in AS overnight. Instead of positioning the specimens with dentin surfaces facing upwards, the specimens were inverted for the treatment, acid challenge and AS periods to diminish the possibility of deposits from settling onto the dentin surfaces or within the tubules. In this pH cycling model, all treatments, acid challenges and immersion in AS solution were performed in an incubator set at 37˚C. The treatment and AS immersion were magnetically agitated at 300 rpm. Fresh citric acid solution was measured out at the beginning of each day and the same solution was used for all three challenges. AS solution was refreshed daily, and fresh varnish and acrylic rods were used for each non-contact varnish group treatment per day. After three days, the specimens were imaged using FESEM. The cycling regimen was performed at Indiana Nanotech (Indianapolis, IN, USA), after which coded samples were sent for blinded, independent analysis at McCrone Associates, Inc (Westmont, IL, USA). After evacuation, FESEM images of carbon-coated dentin samples were then collected using a JEOL JSM-7500F cold cathode field emission scanning electron microscope. Secondary electron images were collected at 10 kV at various magnifications and energy-dispersive X-ray spectroscopy (EDS) were performed on two specimens from each group (one from each subgroup). The area of the beam used to collect EDS data was approximately 0.04 µm2. The reported error for these data were determined using proprietary curve fitting equations in the Thermo Fisher (Waltham, MA, USA) EDS software and are not due to analyses of multiple specimens. Due to the exploratory nature of this study, we note that a relatively small number of specimens were used and that the EDS data collected from this study were not analyzed for statistical differences. As such, the quantitative data discussed below do not necessarily imply significant differences exist. Representative baseline sound and initially demineralized bovine dentin at 3,000x (top row) and 20,000x (bottom row) magnification are shown in Fig. (2 ). Fig. (2a and 2b ) images for sound dentin (Sample A) reveal the absence of a thick smear layer and this allows visual identification of mineralized dentin tubules. Additionally, these SEM images reveal the specimen preparation conditions produced smooth surfaces. The elemental analyses in Tables 3 and 4 for the intertubular and intratubular regions of sound dentin show calcium contents were between 32% and 37%, the phosphorous contents were between 15% and 17% and the magnesium contents were about 1%. Inter- and intratublar oxygen (about 34% and 32%, respectively) and carbon (about 15% and 12%, respectively) fractions were also detected. SEM images of sound (a, b) and demineralized (c, d) bovine dentin at 2,000x and 20,000x. The white scale bars in the top and bottom rows correspond to 10 (a, c) and 1 (b, d) µm, respectively. Baseline initial demineralization (Sample B) leads to exposure of patent tubules several microns in diameter (Figure 2c and 2d ), as well as relative shifts in elemental weight fractions compared to sound dentin. For demineralized dentin, inter- and intratubular calcium (about 32% and 57%, respectively), phosphorous (about 15% and 21%, respectively), magnesium (about 0.5% and 0.4%, respectively), oxygen (about 15% and 7%, respectively), and carbon (about 36% and 14%, respectively) were detected. FESEM images of initially sound dentin cycled with either distilled water (Sample C) or non-contact varnish (Sample D) are shown in Fig. (3 ). In contrast to sound dentin treated with the eluted constituents of the varnish, the perimeters of the dentin tubules are readily observed. The element analyses for Samples C and D listed in Tables 3 and 4 show comparable weight fractions in both the inter- and intratubular dentin regions, with the exception of fluorine which was only detected in Sample D.
SEM images of initially sound dentin treated with either water (a, b) or non-contact varnish (c, d) in the three-day pH cycling model at 3,000x and 20,000x magnification. The white scale bars in all four images correspond to 1 µm. Representative low and high magnification FESEM images for initially demineralized dentin cycled with either distilled water (Sample E) or non-contact varnish (Sample F) are shown in Fig. (4 ). The water-treated specimens (Sample E) bear comparable morphology to that of baseline initially demineralized dentin (Sample B) as shown in Fig. (2c and 2d ), and similar composition (Tables 3 and 4). This morphology contrasts with that produced from the eluted varnish treatments (Sample F), where fluorine-containing mineral-like depositions appear to coat the dentin substrate and obscure the location of dentin tubules. Clear delineation of the intertubular and intratubular regions was frustrated by the resultant mineral layer depositions; hence, the EDS data in Tables 3 and 4 are only approximations. The calcium and phosphorous weight fractions for Sample F were about 35% and 17%, respectively, and were comparable to sound baseline dentin (sample A). Additionally, this calcium-phosphate ratio of 2.1 for Sample F appears consistent with the calcium-phosphate ratio for baseline sound dentin (Sample A) and suggests a comparable mineral phase may have formed. 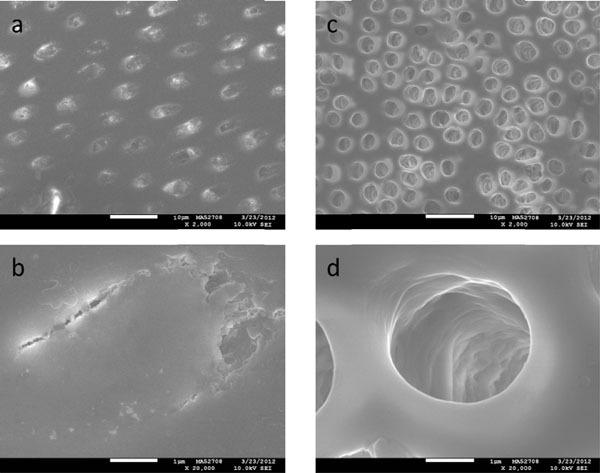 SEM images of initially demineralized dentin treated with either water (a, b) or non-contact varnish (c, d) in the three-day pH cycling model at 3,000x and 20,000x magnification. The white scale bars in all four images correspond to 1 µm. The indication of a varnish for hypersensitivity relief was examined in this in vitro model. But while direct varnish application to patent tubules can readily thwart sensitivity from a hydrodynamic viewpoint [16 Pashley DH. Dentin permeability, dentin sensitivity, and treatment through tubule occlusion J Endod 1986; 12: 465-74. ], the purpose of this study was to explore mineralization of dentin through elution of mineral from a fluoride varnish containing calcium and phosphate. The absence of smear layers in this study was done purposefully in order to better visualize and probe mineralization effects on and near tubules, since they are most often associated with hypersensitivity. We utilized bovine dentin primarily because it is readily available and procedurally easier to generate specimens. We note that human dentin manifests slightly smaller diameter tubules, however, the relative concentration of dentin tubules between the two types of substrates does not differ significantly [17 Schilke R, Lisson JA, BauB O, Geurtsen W. Comparison of the number and diameter of dentinal tubules in human and bovine dentine by scanning electron microscopic investigation Arch Oral Biol 2000; 45: 355-61.]. The data collected in this work compare favorably with existing SEM studies involving dentin [9 Karlinsey RL, Mackey AC, Schwandt CS, Walker TJ. SEM evaluation of demineralized dentin treated with professional-strength NaF topical pastes Am J Dent 2011; 24: 357-62.-11 White DJ, Lawless MA, Fatade A, et al. Stannous fluoride/sodium hexametaphosphate dentifrice increases dentin resistance to tubule exposure in vitro J Clin Dent 2007; 8: 55-9., 18 Salian ST, Kulkarni S, LaTorre G. A randomized controlled clinical study evaluating the efficacy of two desensitizing dentifrices J Clin Dent 2010; 21(Spec Iss ): 82-7.]. Additionally, the measured calcium, phosphorous, and magnesium contents of sound dentin, along with the corresponding intertubular and intratubular calcium-phosphorous ratios of about 2.1, are consistent with previous reports [19 Derise NL, Ritchey SJ, Furr AK. Mineral composition of normal human enamel and dentin and the relation of composition to dental caries: I. Macrominerals and comparison of methods of analyses J Dent Res 1974; 53: 847-52., 20 Burnett GW, Zenewitz JA. Studies of the composition of teeth: VIII.The composition of human teeth J Dent Res 1958; 37: 590-600.]. And despite the small sample size used, this consistency provides support for use of the EDS technique in the collection of approximate elemental compositions reported in Tables 3 and 4. Compared to baseline sound dentin, initially demineralized dentin produced relatively higher fractions of organic material, including carbon and nitrogen, along with reduced fractions of oxygen, sodium and magnesium. These results suggest the nitrogen- and carbon-rich proteins comprising the organic matrix become particularly exposed upon loss of mineral, including sodium, magnesium, calcium and phosphorous, due to the initial demineralization with citric acid. One reason for the loss of oxygen content may be due to the loss of phosphate from apatite-like mineral, which is susceptible to dissolution, for instance, with citric acid [21 Misra DN. Interaction of citric acid with hydroxyapatite: surface exchange of ions and precipitation of calcium citrate J Dent Res 1996; 75: 1418-25.]. Studies utilizing secondary ion microscopy have shown the tubular and peritubular regions to be magnesium rich [22 Lefevre R, Frank RM, Voegel JC. The study of human dentine with secondary ion microscopy and electron diffraction Calcif Tissue Int 1976; 19: 251-61.]. When exposed to acid challenges, it is possible that loss of magnesium may occur and this may contribute to the well-resolved outlines of tubules in Figs. (2 , 3 , and 4 ). We note that a possible explanation for the detection of a relatively high calcium content, such as that observed for initially demineralized dentin (i.e. Samples B and E), may be due to a relative x-ray absorption effect, where loss of intratubular material leads to less overall absorption of x-rays; in turn, this could lead to a higher calcium signal that is not reflective of a higher calcium concentration. Additionally, the slight increase in phosphorous content for these initially demineralized specimens may be due to a combination of relatively higher signal due to matrix loss (as discussed for calcium) along with the resultant exposure of phosphoproteins, such as phosphophoryn, comprising the dentin tubules [23 Stetler-Stevenson WG, Veis A. Bovine dentin phosphophoryn: composition and molecular weight Biochemistry 1983; 22: 4326-35.-25 Lee SL, Veis A, Glonek T. Dentin phosphoprotein: an extracellular calcium-binding protein Biochemistry 1977; 16: 2971-9.]. Phosphoproteins are good chelators of calcium, and may also be contributing (albeit perhaps marginally) to the observed weight fractions. Previous studies have focused on the ability of varnishes to release fluoride and deliver fluoride to the enamel surface [12 Flanigan P-J, Vang F, Pfarrer AM. Lesion remineralization and acid resistance using four varnishes in vitro J Dent Res 2011; 90(Spec Iss A ) Abstract 2139-14 Attin T, Grieme R, Paque F, Hannig C, Buchalla W, Attin R. Enamel fluoride uptake of a novel water-based fluoride varnish Arch Oral Biol 2005; 50: 317-22.]. While fluoride release and uptake are important characteristics in this study the effects of dentin morphology from ions released from a fluoride varnish were assessed. The 5% NaF varnish used in this study is designed for sustained release of fluoride, calcium and phosphate and has been shown to deliver about 6.6 ppm F- and 1.4 ppm F- to the oral environment after one and four hours, respectively, after application to maxillary teeth in vivo [263M ESPE.Vanish 5% Sodium Fluoride White Varnish with Tri- Calcium Phosphate - Technical Product Profile Accessed July 16 2012.]. These in vivo measurements influenced the one-hour treatment design of this in vitro protocol, although we recognize in vitro modeling has inherent limitations compared to clinical evaluations [27 White DJ. The application of in vitro models to research on demineralization and remineralization of the teeth Adv Dent Res 1995; 9: 175-93.]. Still, we believe the results from this study may provide insight regarding the ability of mineralizing agents, such as fluoride, to integrate with dentinal tissue through elution (as opposed to direct contact of varnish on the substrate). The high-resolution SEM imaging revealed that the morphology of dentin (initially either sound or demineralized) was changed when exposed to the 5% NaF varnish system. The purpose of this study was not to distinguish whether the observed effects are derived mostly from fluoride or the tricalcium phosphate, or whether they mineralize the dentin substrates equally, since such control varnish systems were not included. While future studies might employ the use of these controls in a comparable rosin-based varnish system to learn further about each mineralizing agent, the present study was designed to evaluate whether a commercial 5% NaF varnish can mineralize dentin surfaces through an elution mechanism. Although there are a variety of fluoride varnishes commercially available, one cannot confirm with certainty whether the performance of other varnishes would match those of the Vanish® 5% NaF varnish explored here. Still, the model described in this research might contribute to the evaluation and understanding of currently marketed or developmental 5% NaF varnish systems and their role in hypersensitivity relief. While in vitro models are naturally imperfect as they relate to clinical settings, still they provide important insight into the benefits and limitations of dental preparations. The observational results in the current study may provide support to clinicians’ recommendations of a fluoride varnish for sensitivity relief. In particular, we have shown acid-resistant remineralization of dentin substrates can be achieved without direct varnish contact. Our observations might be strengthened with support from follow-on in vitro studies with larger sample sizes, as well as an intra-oral study for clinical evaluation. These pilot results support the role of varnishes as a reservoir for release of bioavailable ions, especially to regions where varnish has not been applied to the teeth, and might extend to other fluoride-containing varnish systems, with or without calcium phosphates or other mineralizing agents. The content is solely the responsibility of the authors and does not necessarily represent the official views of the NIDCR, the National Institutes of Health or 3M ESPE. Mr. Mackey is the Quality Director and Laboratory Manager and Dr. Robert L. Karlinsey is the CEO and Principle Investigator at Indiana Nanotech, which has a commercial relationship with 3M ESPE. Dr. Craig Schwandt is a Senior Research Scientist at McCrone Associates, Inc.
We kindly acknowledge technical support from Dakota Blanken and Katherine Frederick for dentin specimen preparation. This research was partially supported by grant number R44DE018576 from the National Institutes of Dental & Craniofacial Research (NIDCR). Addy M, Smith SR. Dentin hypersensitivity: an overview on which to base tubule occlusion as a management concept J Clin Dent 2010; 21(Spec Iss ): 25-30. Orchardson R, Gillam DG. Managing dentin hypersensitivity J Am Dent Assoc 2006; 137: 990-8. Gillam DG, Bulman JS, Eijkman MAJ, Newman HN. Dentists' perceptions of dentine hypersensitivity and knowledge of its treatment J Oral Rehabil 2002; 29: 219-5. FDA. Dental devices; prosthetic devices Fed Regist 1996; 8: 302-11. Marinho VCC, Higgins JPT, Logan S, Sheiham A. Fluoride varnishes for preventing dental caries in children and adolescents Cochrane Database Syst Rev 2002; (3): CD002279. Burwell A, Jennings D, Muscle D, Greenspan DC. NovaMin® and dentin hypersensitivity: In vitro evidence of efficacy J Clin Dent 2010; 21(Spec Iss ): 66-71. Greenhill JD, Pashley DH. The effects of desensitizing agents on the hydraulic conductance of human dentin in vitro J Dent Res 1981; 60: 686-98. Karlinsey RL, Mackey AC, Schwandt CS, Walker TJ. 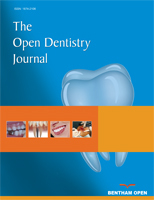 SEM evaluation of demineralized dentin treated with professional-strength NaF topical pastes Am J Dent 2011; 24: 357-62. Sauro S, Gandolfi MG, Prati C, Mongiorgi R. Oxalate-containing phytocomplexes as dentine desensitisers: an in vitro study Arch Oral Biol 2006; 51: 655-4. White DJ, Lawless MA, Fatade A, et al. Stannous fluoride/sodium hexametaphosphate dentifrice increases dentin resistance to tubule exposure in vitro J Clin Dent 2007; 8: 55-9. Schemehorn BR, Wood GD, McHale W, Winston AE. Comparison of fluoride uptake into tooth enamel from two fluoride varnishes containing different calcium phosphate sources J Clin Dent 2011; 22: 51-4. Attin T, Grieme R, Paque F, Hannig C, Buchalla W, Attin R. Enamel fluoride uptake of a novel water-based fluoride varnish Arch Oral Biol 2005; 50: 317-22. Karlinsey RL, Mackey AC, Walker ER, Frederick KE. 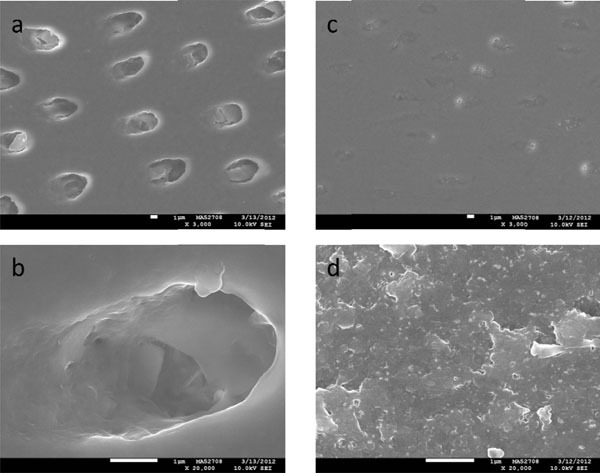 Preparation, characterization and in vitro efficacy of an acid-modified β-TCP material for dental hard-tissue remineralization Acta Biomater 2010; 6: 969-78. Pashley DH. Dentin permeability, dentin sensitivity, and treatment through tubule occlusion J Endod 1986; 12: 465-74. Schilke R, Lisson JA, BauB O, Geurtsen W. Comparison of the number and diameter of dentinal tubules in human and bovine dentine by scanning electron microscopic investigation Arch Oral Biol 2000; 45: 355-61. Salian ST, Kulkarni S, LaTorre G. A randomized controlled clinical study evaluating the efficacy of two desensitizing dentifrices J Clin Dent 2010; 21(Spec Iss ): 82-7. Derise NL, Ritchey SJ, Furr AK. Mineral composition of normal human enamel and dentin and the relation of composition to dental caries: I. Macrominerals and comparison of methods of analyses J Dent Res 1974; 53: 847-52. Burnett GW, Zenewitz JA. Studies of the composition of teeth: VIII.The composition of human teeth J Dent Res 1958; 37: 590-600. Misra DN. Interaction of citric acid with hydroxyapatite: surface exchange of ions and precipitation of calcium citrate J Dent Res 1996; 75: 1418-25. Lefevre R, Frank RM, Voegel JC. The study of human dentine with secondary ion microscopy and electron diffraction Calcif Tissue Int 1976; 19: 251-61. Stetler-Stevenson WG, Veis A. Bovine dentin phosphophoryn: composition and molecular weight Biochemistry 1983; 22: 4326-35. Stetler-Stevenson WG, Veis A. Bovine dentin phosphophoryn: calcium ion binding properties of a high molecular weight preparation Calcif Tissue Int 1987; 40: 97-102. Lee SL, Veis A, Glonek T. Dentin phosphoprotein: an extracellular calcium-binding protein Biochemistry 1977; 16: 2971-9. 3M ESPE.Vanish 5% Sodium Fluoride White Varnish with Tri- Calcium Phosphate - Technical Product Profile Accessed July 16 2012. White DJ. The application of in vitro models to research on demineralization and remineralization of the teeth Adv Dent Res 1995; 9: 175-93.